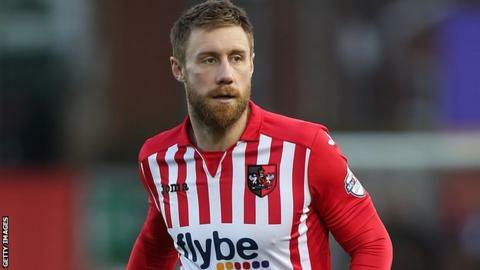 Exeter City manager Paul Tisdale has praised David Noble's contribution to the side's midfield. The former England youth international has started the last five League Two games for City and impressed his boss as the Grecians lost 2-0 to Wycombe. "He was instrumental in our team having a forward thrust in all aspects of the game," Tisdale told BBC Radio Devon after the defeat. "He's produced that over a number of weeks and hopefully that'll continue." He continued: "If I look at the way we've played generally over the last couple of games, I'm relatively pleased with what we're doing and how we're playing. "We have to convert that into points. I'm a realist and I know that you have to make those points and you have to take them, but I have to believe that we've got something about us at the moment, the players certainly played for each other. "It was certainly a competitive, unified performance from the team, of that I have no doubt. "We competed against a very strong, physical side and we matched them."